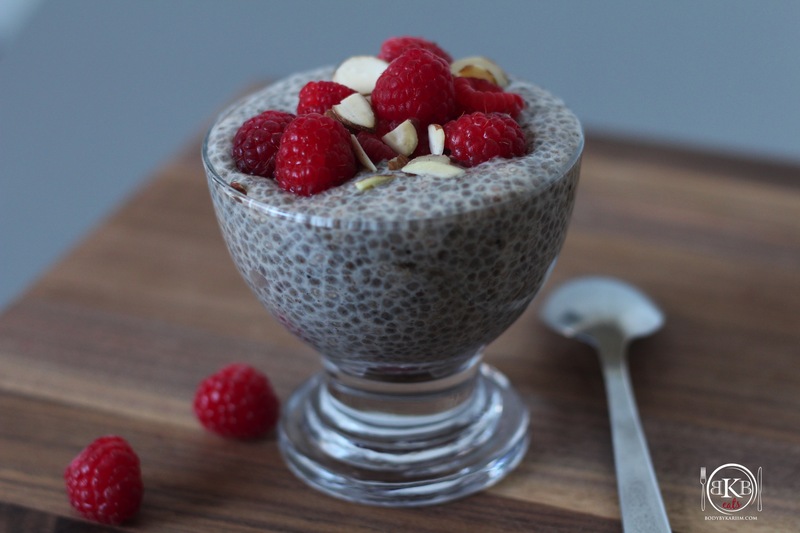 The superfood – chia seed pudding topped with raspberries and shaved almonds. This pudding can be used as breakfast, healthy snack option or even dessert. It’s light, creamy and satisfying! Chia Seed Benefits: chia seeds are nutritionally dense and low in calories. Packed with fiber, protein, antioxidants, and essential fatty acids. Known to help promote weight-loss. 1. Combine the coconut milk, honey, lime juice, and chia seeds in a bowl or jar. Stir or shake until all ingredients are blended well. (I used a tall mason jar with a lid to prepare ours). 3. Next day remove from fridge, scoop into serving bowl. Top with fresh berries and shaved almonds.